A drug-addicted doctor (Thomsen) who works in an asylum discovers that one of his patients (Stubo) is a gifted writer. A man records his internal conflicts as he contemplates his obscure intentions. Turn-of-the-century Hungary. Two young brothers, neglected by their cold and uncaring mother, descend deeper and deeper into psychosis, with tragic consequences. In Hungary during World War II to survive is everything. 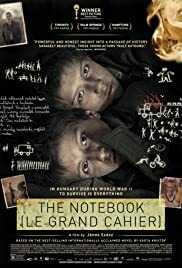 The horror of war through the eyes of two boys. War has it's effect on every age group of people.War stories have been told several times, though this is quite different it's own way. It leaves you thinking, how devastating the war can be, and it leaves a mark on everyone through the ages to come. About this movie, the direction is superb, the acting especially the two boys are wonderful. Even the music is worth mentioning, is superb. It was screened in the Contemporary World Cinema section at the 2013 Toronto International Film Festival. The film has been selected as the Hungarian entry for the Best Foreign Language Film at the 86th Academy Awards.